Hotel Krone Unterstrass, Zurich. Krone Unterstrass Hotel Zurich. 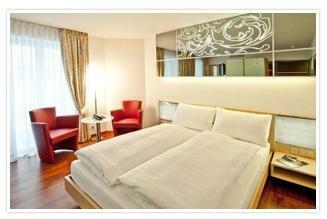 Hotel Krone Unterstrass is the perfect place to stay in Switzerland's largest city, Zurich. With a long tradition of offering hospitality, hotel staff are committed to providing high quality and friendly, guest-oriented services. This commitment to quality is reflected in our ISO 9001:2008 certification. The Restaurant& Bar "differente" is a lovely place to relax and enjoy a meal after a busy day. Only high-quality, seasonal and regional products are used to prepare our Mediterranean dishes. The restaurant is also well-known for its Swiss specialities. The hotel offers all you need for seminars, meetings or special celebrations. Its six banquet and seminar rooms can accommodate between 10 and 200 people.